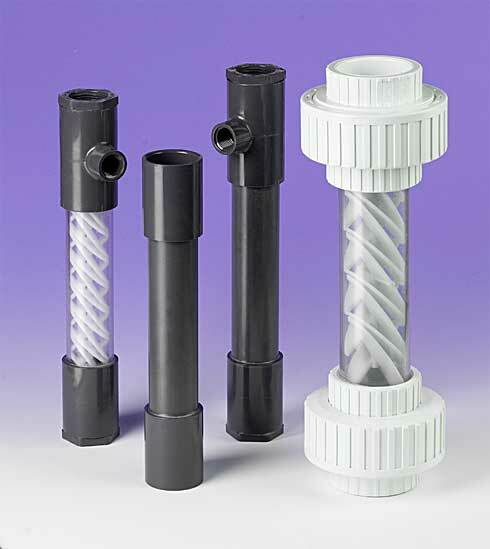 These economical, easy-to-install, Inline Static Mixers are built for a long, maintenance-free life with a PVC outer construction and a polypropylene baffle. 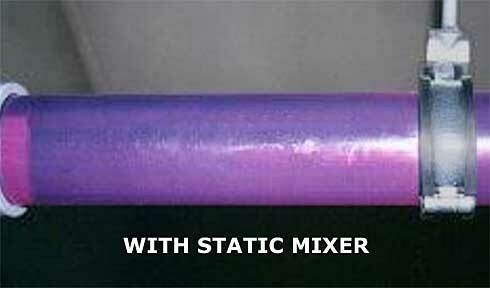 The static mixing design with no moving parts insures an immediate and thorough mix of any combination of gas or liquid. 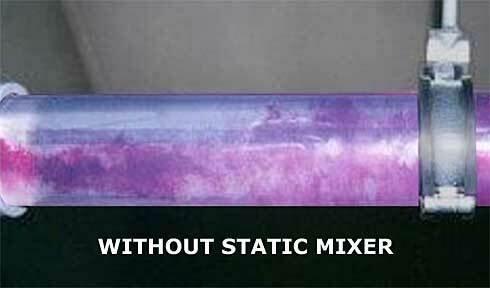 SWT's chemical mixers can eliminate the need for retention tanks in many applications.